Back by popular demand, this post appears here in time to help those of you who might face tricky ethical questions at a New Year’s Eve party. May you find yourselves in less costly shoes than I found myself at last year’s Halloween party. “President Obama accepts both the Nobel Peace Prize and a glass of Robert Mondavi Cabernet.” Winespectator.com. I achieved peace by giving the wine back. Here’s a funny little story about my Halloween. It was the third day of Halloween. Our party was at 4 on Sunday, a “MeetUp” hosted by a mother in one of the toddler Meetup.com groups we occasionally participate in. I brought at $14 bottle of Cabernet instead of a food item. There is always way too much food at these things, and so I hoped my decision to bring a bottle of wine for the hostess would be acceptable. I explained in jest as I handed it to her that I figured she might need it after a toddler party. I placed it on the counter with the other drinks. Miniature Buzz Lightyears, paleontologists, ballerinas, and superheroes darted through the rooms. I set up my own superheroes with small plates of hotdog and fruit. I poured them something green from one of two pitchers on the counter set up as the bar. Behind the pitchers were stacks of cups, a few bottles of water, bottles of tonic, and three or four 1.5 liter bottles of wine lined up across the back. I hadn’t thought that wine would be provided, but how nice, I thought. Since there is, I will have a glass. I couldn’t find a corkscrew on the bar, and since it’s the kind of thing I might forget in the frenzy of preparing for a party, I asked the hostess and she provided one. 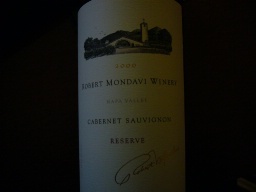 I reached for a 1.5 liter bottle of 2009 Robert Mondavi cab, wanting to open a lesser bottle than the one I’d brought. I see Robert Mondavi cabs all the time at Costco and Walgreens and CVS. I opened it. I poured. I drank. At one point during the evening, the hostess asked if it had been corked. I thought that was a strange question. “We’ve had it forever,” she added. “No, it’s fine,” I replied. And it was. It was nothing special. Having bartended at fancy catered parties for several years, I knew corked when I tasted it. I also knew special. I drank two glasses over the course of the evening. The boys ate cupcakes. 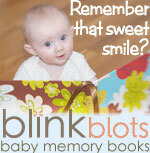 The hostess’s smile never left her face but never quite reached her eyes. Betsy- I had to get this off my chest and felt I needed to let you know how upset I was that you opened my $140 bottle of 2000 Robert Mondavi Napa Valley Cab. The more days that have gone by the more upset about I’ve become. I’ve never had an issue with them sitting on my counter behind everything else. It wasn’t ‘retro’ of me and I really didn’t care if it was corked….I never intended on opening it and even if I did it certainly wouldn’t have been for a Mom’s group Halloween party. When you asked for a corkscrew I figured you were opening the bottle you brought. I specifically stated on the comments that if you wanted an adult beverage to bring your own, We were not providing. Oh my god. (Name of Hostess here), I had no idea. I am appalled. I had thought that the bottles on the counter were for consumption. I will replace it. I feel sick to my stomach that that happened. While the Midgets took advantage of my distraught state, chasing the pets, making a mud pie on the patio and bringing it in to eat on the living room rug, I made phone calls and searched the internet for a replacement bottle, the first of perhaps four hours spent over the next few days. I called a restaurant in Boston that offered what looked like the last remaining bottle on the Earth for $300. Maybe I should have told them it wasn’t worth that. I called Robert Mondavi himself, who had on hand only the 2000 Reserve, but in the regular .75 liter size. Finally, on the third day, I paid $40 (refundable when I canceled my subscription within the week) for a year’s membership to wine-searcher.com. And there it was, at a store in New Jersey, for $129 plus $25 shipping. A better wine, no doubt as it was the Reserve, but otherwise the same. I bought it. Kicking myself for my stupid mistake. But meanwhile, the initial self-flagellation was subsiding into a more rational evaluation of just whose mistake it was. As a bartender in people’s homes, I had never seen a drinks counter set up with bottles that were not for consumption. Yes, I should have looked at the label more carefully: 2000 is not 2009. Yes, perhaps I should have read the long list of “comments” posted by mothers planning to attend. The absence of a corkscrew should have given me pause. But. Moreover, the tone of the note implied not that I had made an honest mistake, but that I had knowingly opened a bottle of both monetary and sentimental value. What had the hostess accomplished by sending such a missive? She hadn’t asked me to replace the bottle. She felt bad and wanted to make me feel bad, too. Not exactly a hostessy act. To get some sense of reality, I shared the story with my sister as objectively as I could. “You saved some other poor idiot from doing the same thing,” she basically said. “And what’s more, she’s the least gracious hostess in the universe. Well, she is a lawyer. I had imagined, cringing, the scene at the party after I’d left. I expected that the organizers of the toddler group would quietly ask me and my toddlers to un-member ourselves. In the following days, several members contacted me. But their reactions were quite the opposite. Do not replace the bottle, several counseled. And if you do, don’t replace it with the one you’re planning to replace it with. Their support provided as good a reality check as the other opinions I’d heard. But I’d already ordered the wine, and it’s not like the original bottle had opened itself. R, I decided, would take responsibility for her actions, even if they were only a small part of a debacle, and inject grace into a situation that was in sore need of it. Her character (and her bank account) would be big enough to absorb the cost. My bank account will never be as big as R’s, but I have more hope for my character. Maybe I should have recognized that the expense was too great and that I had been a player in a mistake that I really couldn’t make right. Maybe I would be a bigger person if I had made the decision not to replace it. I don’t know. Wisdom under such circumstances comes with experience. But I felt better. I have won peace with my decision, if not with the Hostess from Hell. What would you have done? And what’s your worst etiquette story? "President Obama accepts both the Nobel Peace Prize and a glass of Robert Mondavi Cabernet." winespectator.com. 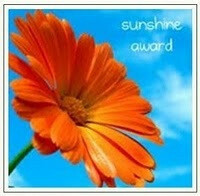 I earned my peace prize by giving back the wine. 1.5 liter bottle available at many drugstores for $17.99. 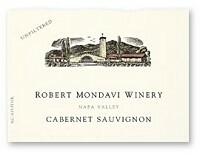 Robert Mondavi Cab, 6 liters available for $115.99 at http://www.skiwines.com. That's $14.50/.75 liter bottle. I had to get this off my chest and felt I needed to let you know how upset I was that you opened my $140 bottle of 2000 Robert Mondavi Napa Valley Cab. The more days that have gone by the more upset about I’ve become. I’ve never had an issue with them sitting on my counter behind everything else. It wasn’t ‘retro’ of me and I really didn’t care if it was corked….I never intended on opening it and even if I did it certainly wouldn’t have been for a Mom’s group Halloween party. When you asked for a corkscrew I figured you were opening the bottle you brought. I specifically stated on the comments that if you wanted an adult beverage to bring your own, We were not providing. image via cellartracker. I didn't have time to find my camera the day the big bottle arrived at my house. I had a delivery to make.